Join us for an exhibition of original arts and crafts: work by artists and craftspeople from the Eden Valley. 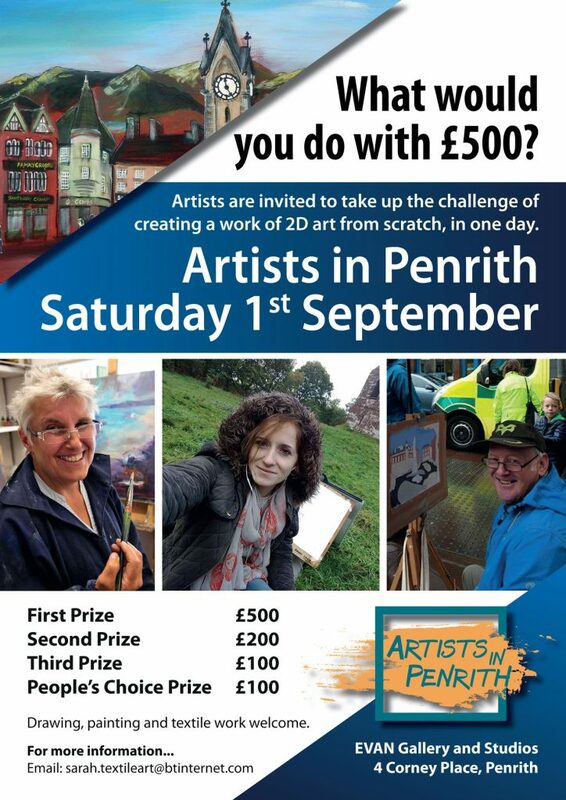 Artists are invited to take up the challenge of creating a work of 2D art from scratch, in one day. Drawing, painting and textile work welcome. 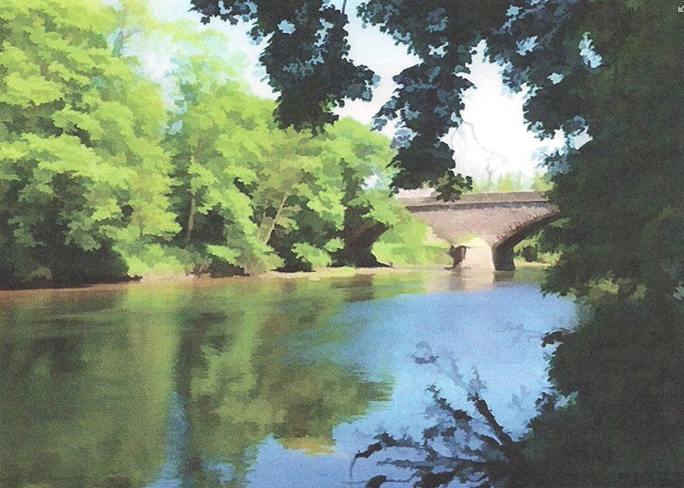 The 7th Art in the Hills Exhibition will be held in Dufton Village Hall over the weekend of 21st – 22nd July 2018. 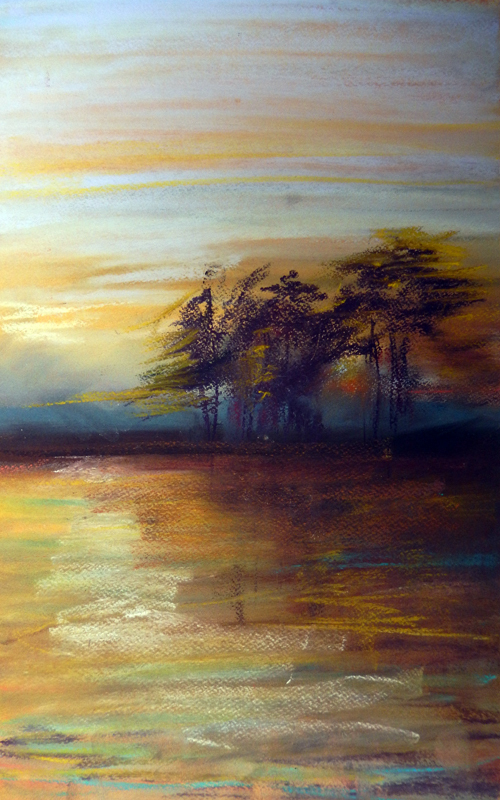 This very successful show continues to grow in popularity with artists and visitors. We have invited a number of exhibitors from previous years to show and sell their work as well as welcoming some new contributors to maintain the freshness of the event. 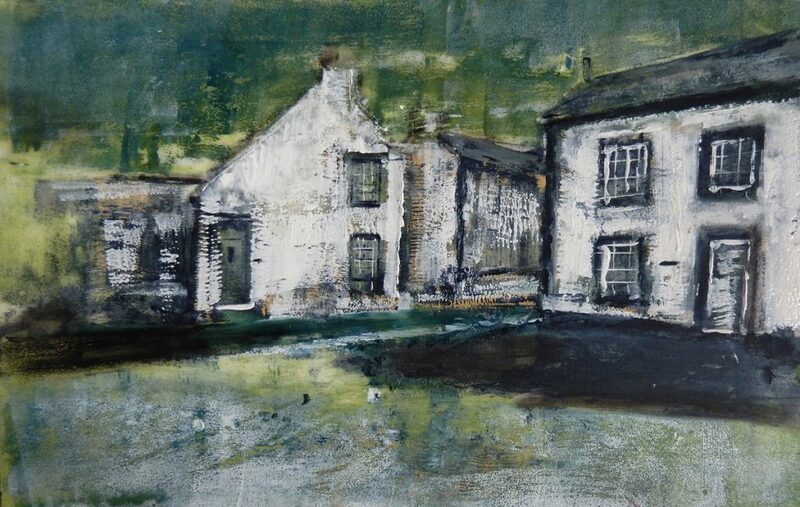 In total, this year we will be exhibiting the work of 43 artists from the Eden Valley. Most pieces of work will be for sale but cannot be collected until after the show ends, so there will not be blank spaces on the boards if you cannot come early. Many artists also sell prints and cards. Homemade refreshments will also be on sale. 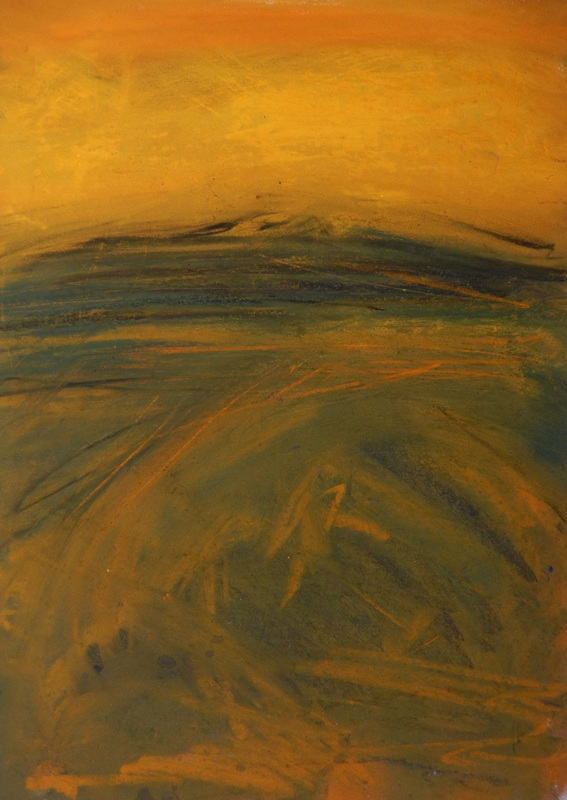 This year there will be a new prize, in addition to the ‘Favourite Piece’ voted for by the visitors, Artists will be invited to enter for the ‘Dufton Prize’. This is a special prize for any abstract, still life, portrait, figure or natural history piece in a range of media. There will also be a competition for children housed in the marquee on the green. Saturday 14th July (10 am-5pm) and Sunday 15th July (10am-4pm). Admission £2. The 39th annual art exhibition. 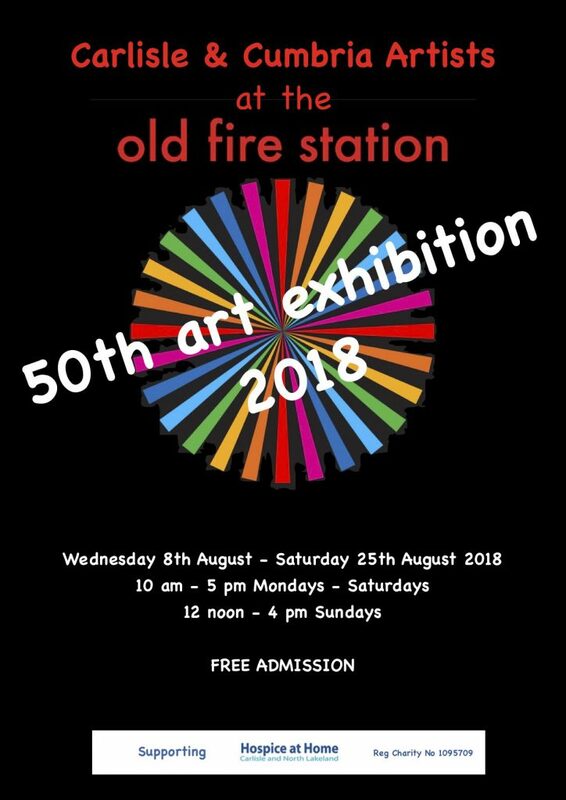 One of the longest running art exhibitions in Cumbria. 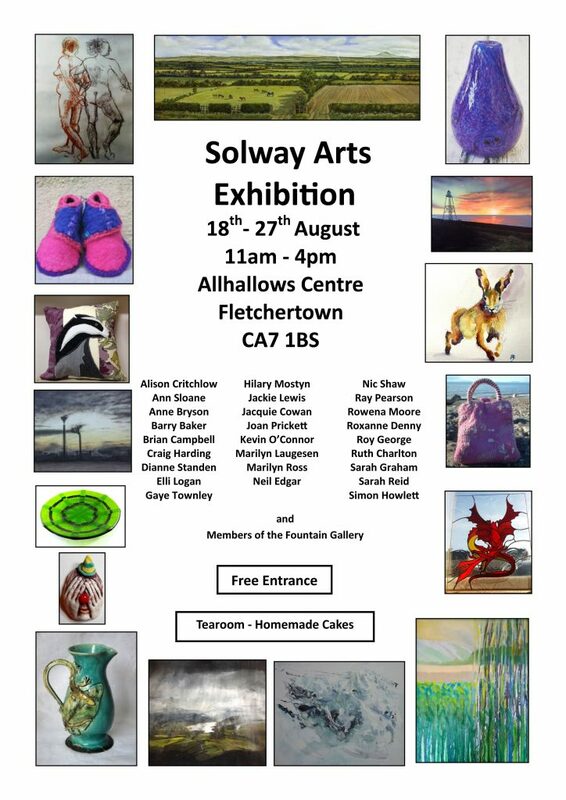 There will be scenes inspired by Allonby and the Solway coast as well as views of the Lake District, plus abstracts, wildlife, insects and portraits. Copyright © Red Raw Studios 2019 All rights reserved.